I picked these (four of them) up in Florida (I think) a few months ago – or at least at some point in between. Perhaps New York. There are great antique shops with lots of glass in upstate New York. I digress. I thought that these pretty blue stems, with needle etched circles would be easy to identify. 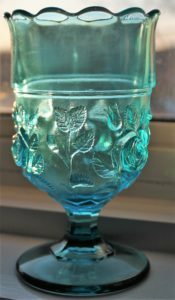 However I have not been able to find them and have had no luck on a Facebook Glass ID group to which I belong. They have a gorgeous rich colour and an interesting beaded stem. Look forward to someone knowing that they are. 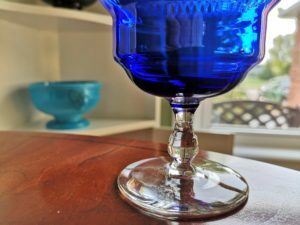 When I ran across this pretty blue piece I knew I had seen it somewhere and lo and behold it is featured (kind of) in Gene and Cathy Florence’s book – American Pattern Glass table Sets. The pattern is Open Rose a/k/a Moss Rose. 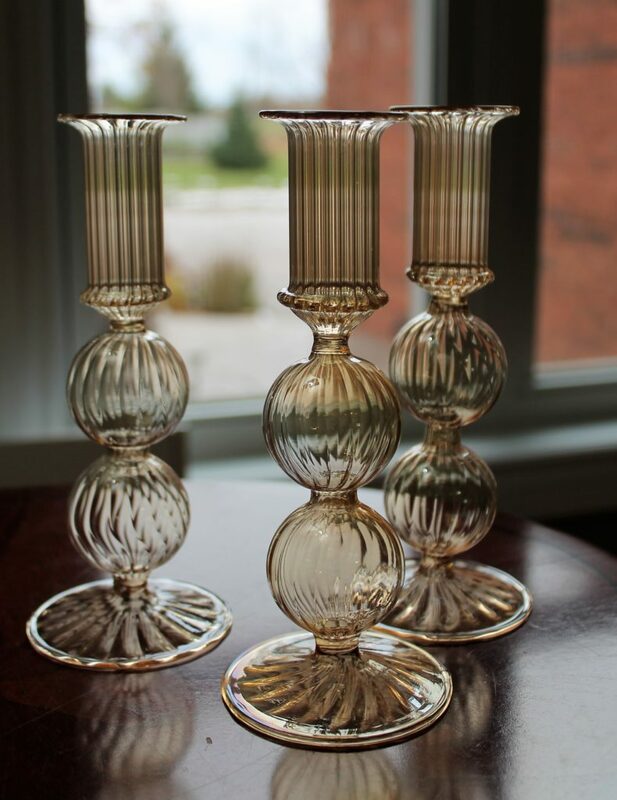 However this is a Mosser Glass Company reproduction of the original nineteenth century crystal piece. According to the Florences the original manufacturer is unknown. 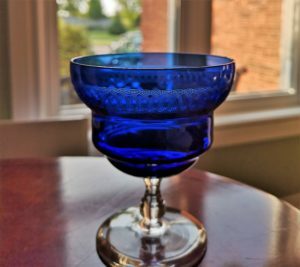 Mosser reproduced spooners and goblets in amber, crystal and green as well as this blue. It is a pretty piece, although not so old.